Barbara L. Richter passed away on Tuesday, January 15, 2019 at 8:48am at her home. Barbara was born in Detroit, Michigan on June 12, 1932 to Robert and Monelle (Brower) Rimpler who preceded her in death. She married Walter M. Richter on August 5, 1955. He preceded her in death on May 10, 1985. 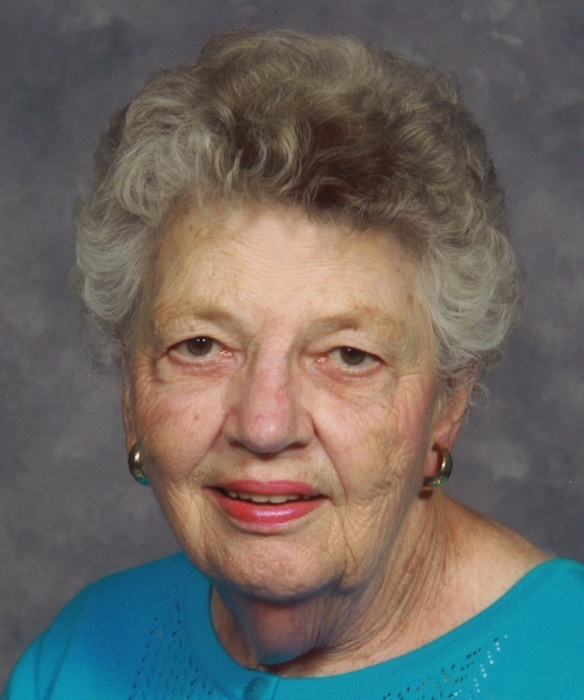 She loved her family, working with her flowers, cooking, watching the Indianapolis Colts, and Nascar races. She had a strong faith and attended First Christian Church. She was a graduate of Twelve Mile High School, South Bend Business College, and retired from Farm Credit Services. She was a past member of the Peru Civic Center board, Peru Business and Professional Women, and Dukes Hospital Auxiliary. She is survived by son Max R. Richter of Peru, daughter Lori A. Richter of Peru, and sister Carol Arthur of Twelve Mile. Also, nephews Jim (Vicki) Richter, Marty (Kathleen) Arthur, Mike (Jayme) Arthur, and Doug Arthur; as well as her honorary son, Terry Wray. She was preceded in death by her parents, husband, brother-in-law and sister-in-law Ernest and Mary Richter, brother-in-law Richard Arthur, and niece Sara Nash. The family would like to thank Dr. Hoover and his nurses, Angela, Bridget, Avis, Angel, and Mel; as well as her caregivers, Rita, Waneda, and Gwenda Graber, and also Christy Wouster. Also, Angels of Mercy nurses Stacy and Tiffany. They all did a super job, and we appreciate all of their help immensely! Barbara was dearly loved by her family and will be missed greatly. Family and friends may call from 4:30pm – 7pm on Monday, January 21, 2019 at Flowers-Leedy Funeral Home, 105 West Third Street, Peru, Indiana. Funeral services will be held at the funeral home on Tuesday, January 22, 2019 at 10am, with Pastor Jim Loft and Pastor Phil Cruea officiating. Burial will take place at Mount Hope Cemetery, with a brief service to be held in the Mount Hope Cemetery Chapel.